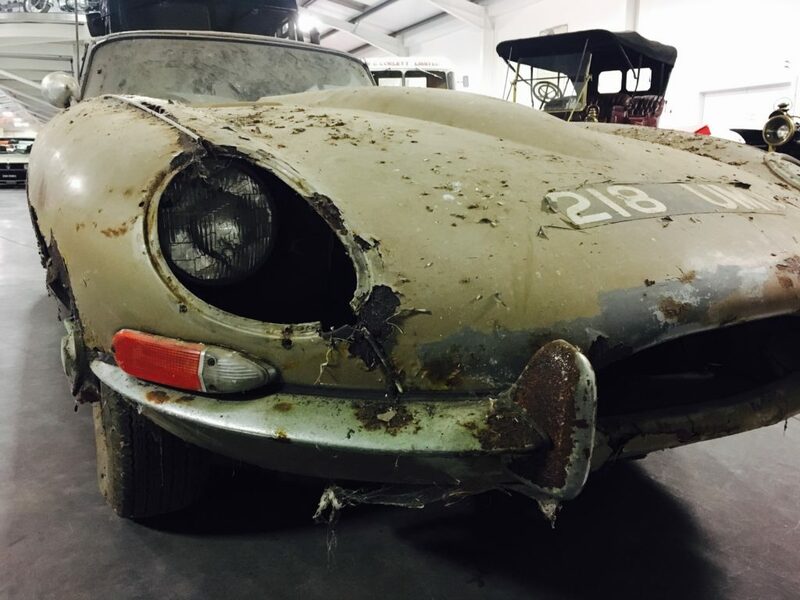 We aim to show vehicles in all states of life, from immaculate original one-owner cars and concours restored motorcycles to well used daily drivers and complete barn finds. We also take pride in displaying the unusual, the esoteric and the plain old interesting. Many of the exhibits have a very personal story behind them and we enjoy sharing these with our visitors. Most of the exhibits are in operational condition and are exercised regularly as we firmly believe in using them as they are meant to be used. 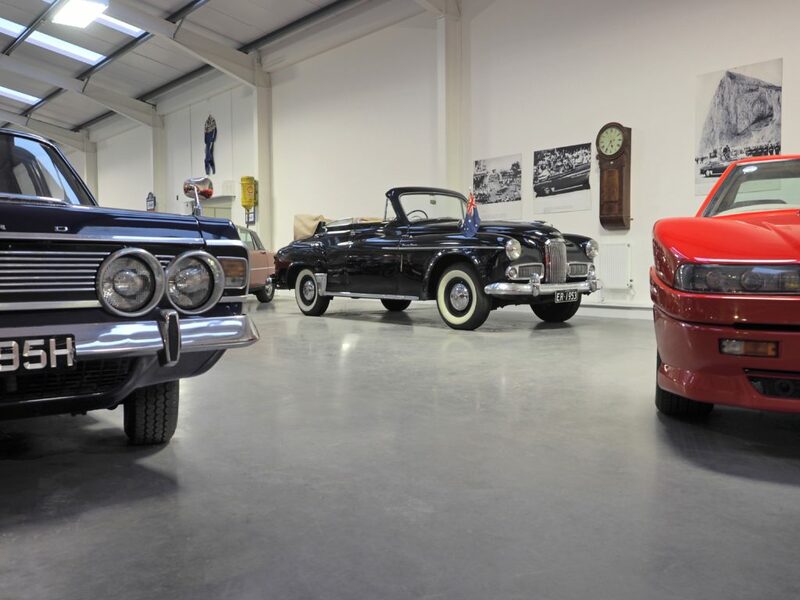 This does mean that we cannot guarantee vehicles will be on display when you visit, so please contact us if you are interested in a specific exhibit and we will do our best to accommodate you. Some of the highlights of the Museum collection are shown below. Cars on display in the Museum span over 100 years of worldwide motoring history from a 1903 Turner-Miesse steam car to a 2005 Toyota BB OpenDeck. We aim to display cars both to complement each other and contrast with each other to help tell their stories – we have an Austin 7 dwarfed by a 1952 Cadillac flower car, we have a Lotus Carlton facing a BMW M5, a Volkswagen T3 Crew Cab next to a 1906 Stuart. The Museum is home to a number of historically significant vehicles including a 1953 Humber Super Snipe tourer built for and used by Queen Elizabeth II and Prince Philip on their Coronation tour of the Commonwealth and the ex-White House 1965 Lincoln Continental limousine used by US Secretary of Defense Robert McNamara. 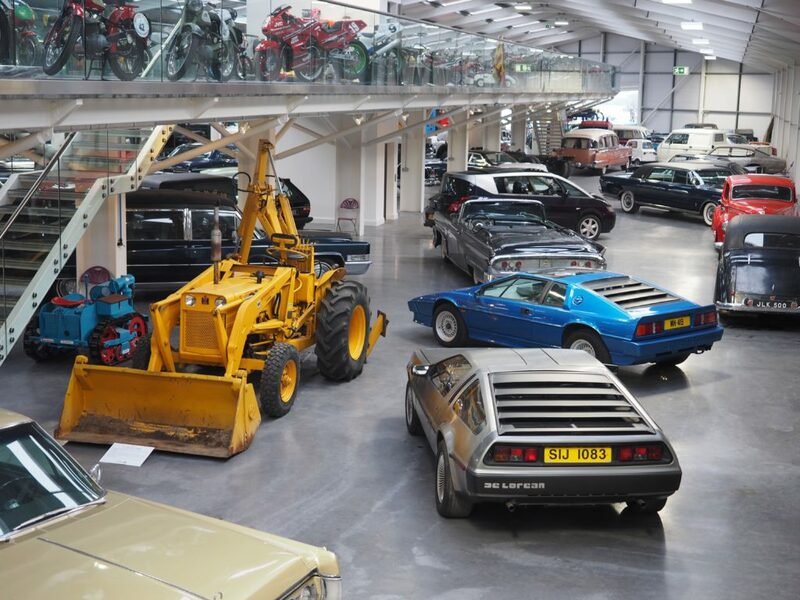 We are also very fortunate to have a number of prototypes in the Museum including a right hand drive DeLorean, Monica’s #1, #2 and #6, a Ford Galaxie Limousine and the Maserati Quattroporte II. Other highlights of the car collection include a Cadillac V16, a Citroen DS19 Decapotable (often displayed on a DS23 Tissier transporter), three Facel Vega Excellences in varying conditions, a Fiat 2300S Coupe Ghia, an Autech Zagato Stelvio, and a TVR Tuscan Challenge racer. 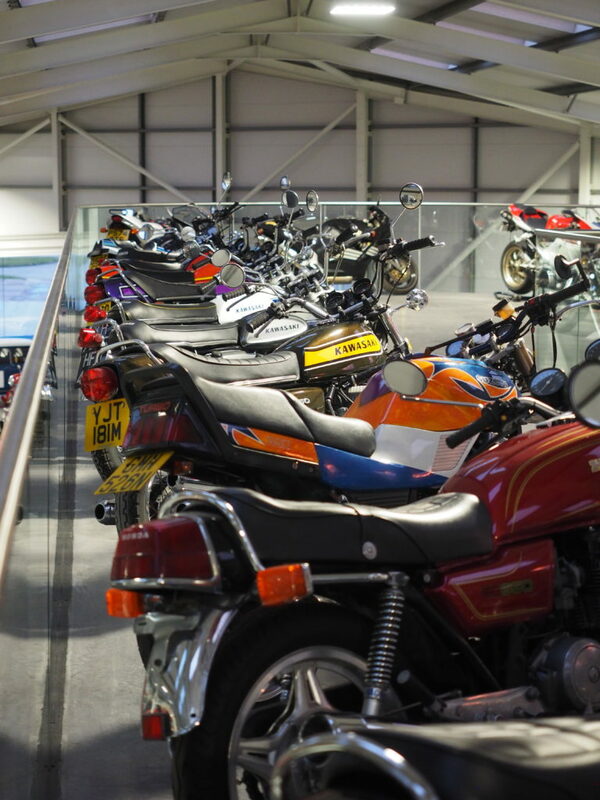 The Museum showcases over 200 motorcycles from the earliest days of motoring with a 1902 Clement right through to the 2009 winner of the first electric TT by way of Nortons, Sunbeams, Velocettes, Indians, Kawasakis and Hondas to name just a few. There is sure to be something for every bike fanatic! 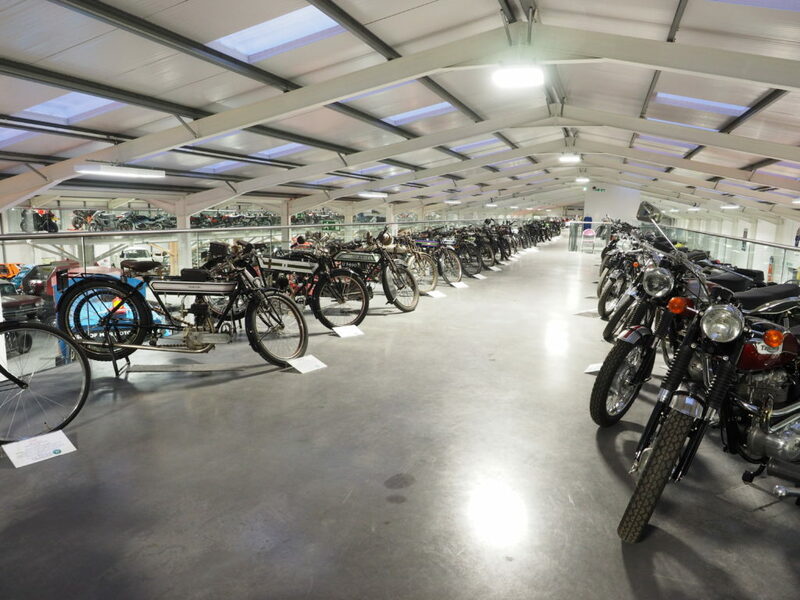 The majority of the motorcycles are housed on two fully accessible mezzanine levels. The mezzanines also provide a very different view of the exhibits on the ground floor allowing visitors to appreciate them from a rarely seen perspective. The World Enduro Championship winning bikes of local hero David “Knighter” Knight are currently displayed at the Museum. Many visitors come to the Isle of Man to experience the narrow gauge steam railway running from Douglas to Port Erin. We are very pleased to be able to show how steam power has been used on the road. 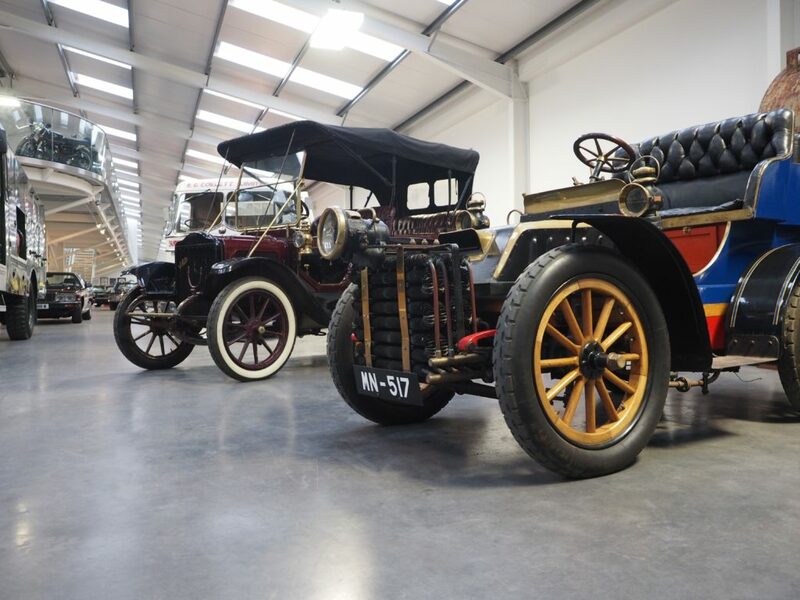 We presently have steam cars manufactured by Stanley, White and Turner-Miesse on display and a recently discovered Doble-Delage is undergoing restoration work in the Museum workshop. The Museum is also currently building a steam motorcycle to attempt to set the land speed record for such a vehicle. We also have examples of heavier steam power in the form of a Fowler A4 Traction Engine and a Sentinel Steam Waggon. 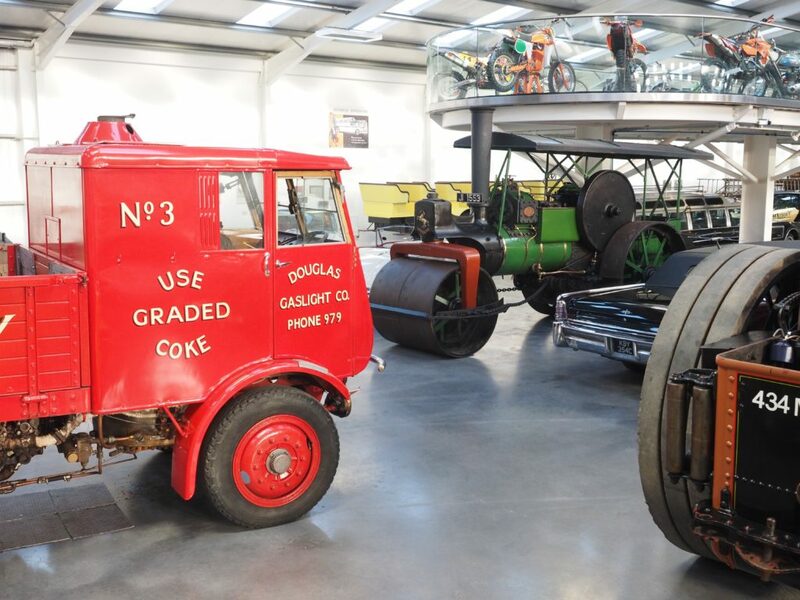 It’s not just cars and bikes at the Museum as we also feature trucks, buses, fire engines, a traction engine, a road roller, a hovercraft, a charabanc, hearses, flower cars, airport limousines, agricultural equipment and even a self-propelled gun! We also have the tailfin and nose cone of a never-completed airship that was under construction by Advanced Airship Corporation here at Jurby in the 1980s. Other aviation exhibits include a Pratt & Whitney R-4360 Wasp Major 28-cylinder radial engine in both complete and cutaway forms. 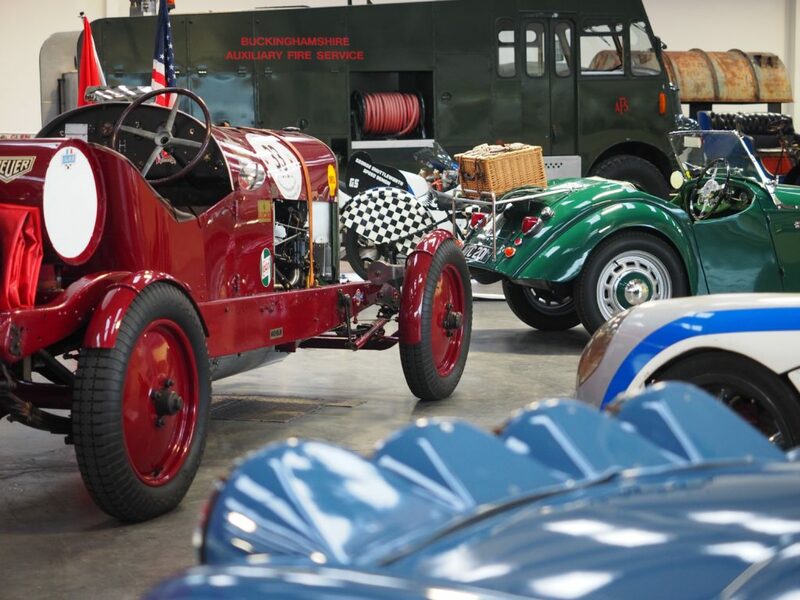 We are very privileged to display vehicles owned by local enthusiasts that are usually hidden away from public view. From veteran cars to Land Rovers to 80s hot hatches, there’s something for everyone.